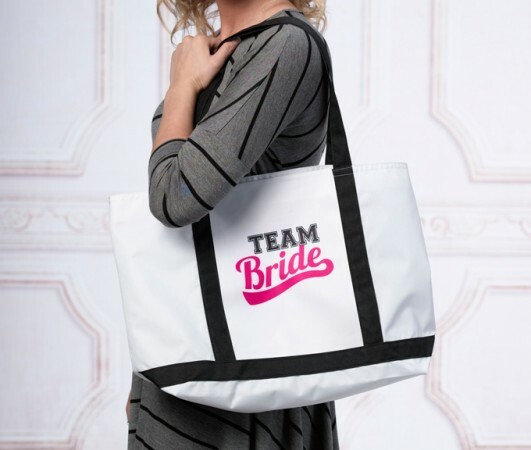 This versatile Team Bride beach bag is a perfect gift for your bridesmaids. Use as an overnight bag, fun day of shopping or day at the beach. Sized at 19.5 x 12.5 inches, this bag is roomy enough for different occasions and has a durable canvas construction.